Chris, here. It has been a long time since there has been an update to the Team Orthodoxy website. I found a couple of comments inquiring about the status of our site, and so thought it necessary to provide you all with an update. A few years ago, life changed for a lot of people on the Team. Many of us experienced significant life changes, including marriage, babies, and occupations. As this was happening, the demands of keeping up the blog began to loom large over many of us, and it became clear that we were unable to fulfill the requirements that we had set before us with the blog. I think many of us felt burned out and running low on time and inspiration. Thus, the blog was just set adrift on the waves of the digital sea. We have, however, all remained good friends, and many of us still spend time together, but the writing stopped. We still get traffic on this site, which really makes me super happy. Catholics are still checking us out, and Orthodox Christians still hate our name. Not much has changed. We will not be posting here moving forward, however, some of us have gone on to start some other fun projects that I would really like for you to check out. Brooke has begun selling her Catholic art over at her new Peter’s Square Store – Visual Litany. You can check that here. Her St. Teresa of Avila picture is my favorite, but I’m a little bit Carmelite and very biased. 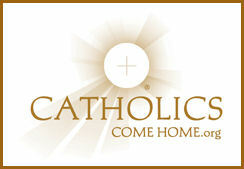 Myself, I have just started my own blog on living the Catholic life called Rail City Oratory. Please consider following my new blog here. I am also working on a book. I will be sharing details on my blog in the future. Please keep us in prayer. We have sincerely appreciated the love and support over the years. We are sorry that it has taken so long to provide an update. Please be assured that we are praying for each of you. Thank you so much for the love. We’ll see you in the Eucharist. Catholic. Married. Secular Discalced Carmelite. Hipster. Foodie. Board Game Aficionado. Beard. Posted on June 22, 2018, in Catholic. Bookmark the permalink. Leave a comment.